Witches, wizards, and ghosts have come alive and are on their way to haunt Marriott Manila this Halloween. The hotel doors are now widely open to everyone who is up for freakin’ great treats and tricks! Bring your little monster to the Hallow’s Eve celebration on October 30. 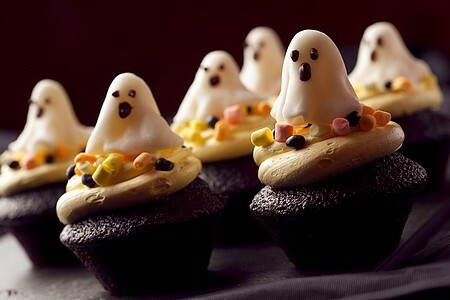 Vamp up your kids in out-of-this-world costumes and indulge in the thrilling lunch boo-ffet at Marriott Café for P2,500. Devour the hefty spread of sustainable seafood, U.S. Certified beef, Western to Eastern cuisines, and ghoulish desserts. As soon as their energies are up, the trick or treat activity begins! Little aliens shall lurk around the hotel to steal fang-tastic loot bags overflowing with goodies. For inquiries, call Marriott Manila at 988-9999 or go to its website.